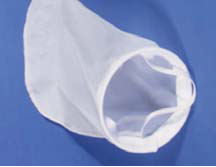 SaniClean’s Strainer Baskets can be used with Filter Bags. When using a Filter Bag (with a Stainless Steel ring sewn into the top of the bag), the bag seats in a “cut-out” of the machined ring welded to the top of the perforated support basket. A Filter Bag Hold Down Ring holds the Filter Bag in position while being held in place by the Quick Release Handle. SaniClean Strainer Basket shown at right with Quick Release Handle in place and the Filter Bag installed in the perforated basket – ready to be loaded into the strainer housing. Felt Bags – Filtration felt is a low cost disposable media with depth-filtration qualities and high-solids loading capacity. We recommend using only filtration felts with a glazed or singed outer finish to minimize fiber migration from the filter surface. 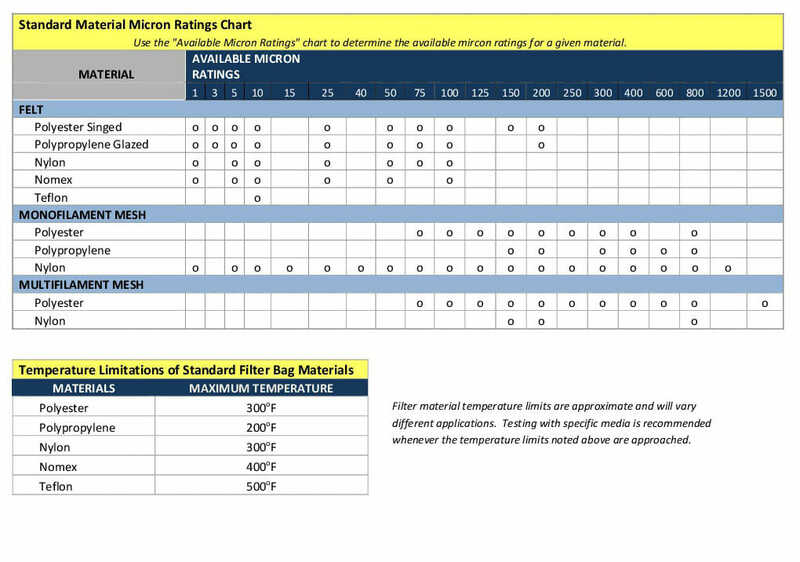 Felt bags are available in micron ratings from 1 to 200 microns. Monofilament Bags – Monofilament mesh is an extremely strong material woven on precision equipment to ensure consistent pore sizes. It can be re-useable in many applications. Nylon is the most widely used monofilament material. Monofilament mesh bags are available in micron ratings from 1 to 1200 microns. Multifilament Bags – Multifilament mesh is a low cost, disposable filter media. Multifilament mesh is available in polyester and nylon. Multifilament mesh bags are available in micron ratings from 75 to 1500 microns. 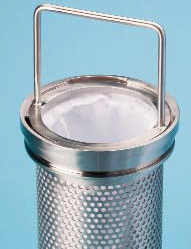 • SaniClean’s “standard” Filter Bag comes with a Stainless Steel top ring for all size strainers. 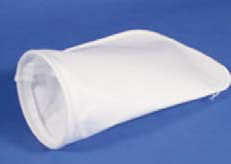 • For all Polyester Felt Filter Bags it is suggested that the filter bag material be “singed” prior to fabrication. This added quality step helps minimize any fiber migration from the outer surface of the bag. 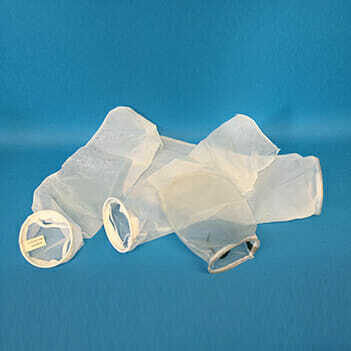 • For all Polypropylene Felt Filter Bags it is suggested that the filter bag material be “glazed” prior to fabrication. This added quality step helps minimize any fiber migration from the outer surface of the bag. • All Filter Bags can be supplied with handles or pull tabs sewn in, to ease filter bag removal. 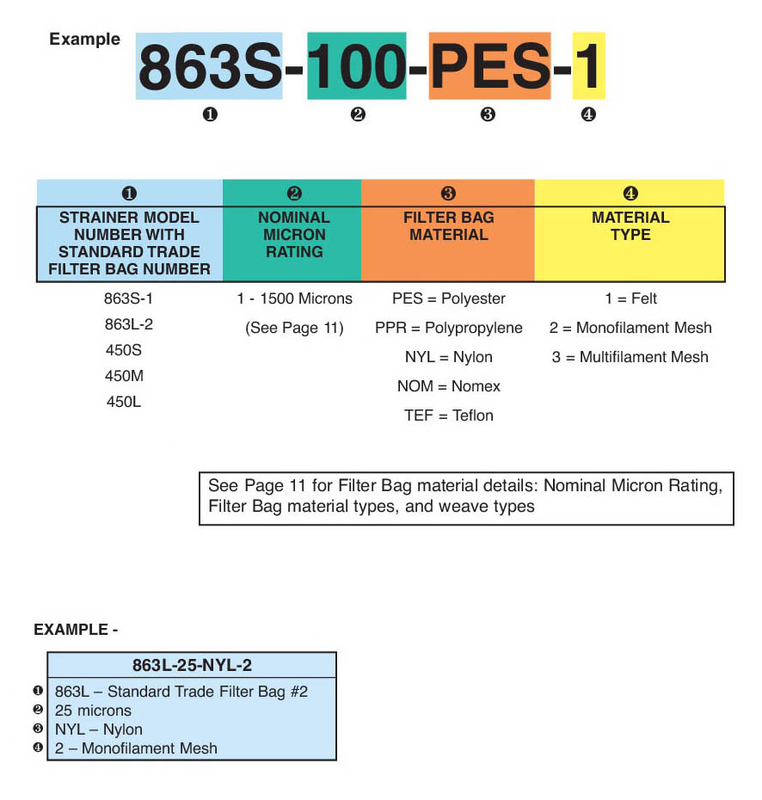 Please contact our Sales Team to request for a Filter Bag information and/or price quote.